Storage solutions for all types of jewellery, right this way. 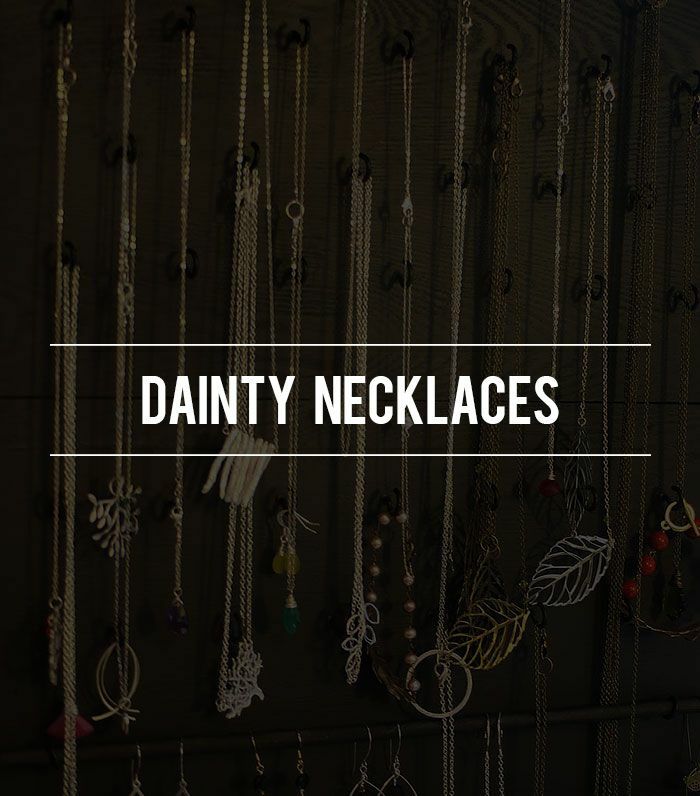 Click to find out how to organise your dainty necklaces. Sick of spending unnecessary time detangling your teeny-tiny necklaces? Try hanging them! You’ll have plenty of hooks with Urban Outfitter's Trellis Jewellery Stand ($29). Click to find out how to organise your earrings. To avoid having your earrings slide around, store the gems in a compact and felt-lined home. The diverse compartments in Jonathan Alder’s Toulouse Jewellery Box ($295) offer storage for all types of earrings. Click to find out how to organise your delicate bracelets. A tray with built-in dividers is perfect for keeping your fragile bracelets organised and untangled. Store your tiny chains and cuffs in style with Wolf Designs' 1834 Collection Forcado Valet Tray ($600). Click to find out how to organise your everyday jewellery. Keep the jewellery you wear all the time in a highly visible, easy-to-access place. Showcase your go-to jewels in West Elm’s Glass Shadow Box ($69). Click to find out how to organise your rings. Never misplace a ring again! For a smart and stylish storage solution, we suggest stashing all of your rings together in a decorative dish. This jewellery holder is purrrfect for stacking your rings. Click to find out how to organise your statement necklaces. Why hide your stunning baubles? Display your number one dazzlers on and around your vanity. Go for a vintage vibe with Anthropologie’s Fern-Reflection Jewellery Stand ($88). Click to find out how to organise your watches and bulky bracelets. Since timepieces and chunky bracelets take up a decent amount of space, invest in a double-bar display stand. It will also serve as a fabulous accessory for your dresser! We found you quite the bargain!